[If you’re looking for an example of massed black attacks and co-ordination across a wide front, then these unnoticed events from 2016 are worth looking at. I think Julius Malema and/or other black radicals may be involved in this. But nobody ever came out with anything in public, and as usual the Govt, Police, etc come up with nothing!! Not many people seem to have taken much notice of a fascinating event that took place in January 2016. Early in 2016, there was a massive spate of fires across the Cape. There was one day where 100 fires were started in a single day. At the time, I got voice messages on my phone. One was from a woman on a farm saying that from their house they could see blacks starting fires on farms. In another case, a voice message came in Afrikaans from a man who was in a helicopter responding to a fire emergency. He said that they could see the blacks starting the fires from the air. 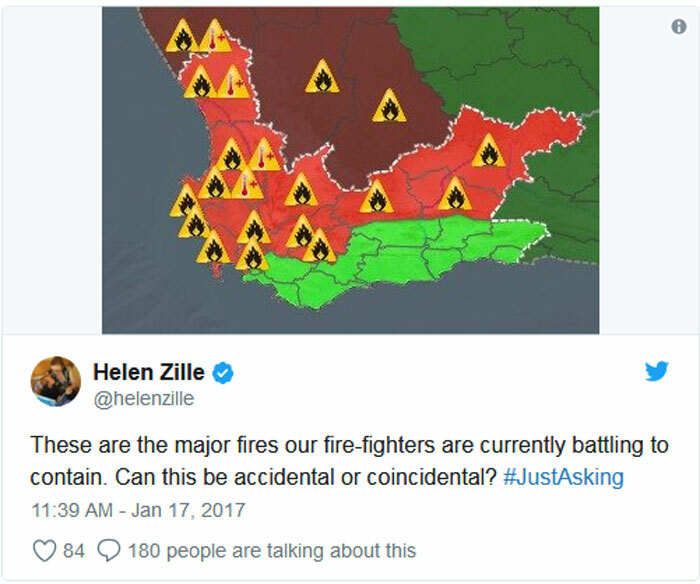 Even Helen Zille, the provincial head, asked on Twitter whether the fires were accidental or deliberate. Maps were published showing that the fires started almost simultaneously across a vast area. Police were also called in to investigate. The question was whether someone had deliberately started these fires because in case after case, there were eyewitness reports stating that they had seen blacks starting the fires. In 2017, when there were fires in the small town of Knysna, there were similar questions. In that case a huge part of the town, which had a largely white population, was burned down. For many years, there have been times when white farmers claimed that blacks were deliberately starting fires on their properties. But January 2016 is the widest spread instance of mass arson that I’ve ever come across in South Africa. And along with it, were stacks of eye witness reports. But this has now largely been forgotten. And in 2017, in Knysna, where the victims were exclusively white, I think about 40% of the town was burned down. Someone told me that Julius Malema was seen booking into a hotel in Knysna a few days before the fire there. A Jewish “forensic expert” was called in to investigate the Knysna fires, but he “found nothing” amiss. However, those fires in the Cape in January 2016, had lots of eye witnesses and the SAPS (South African Police Services) were called in to investigate. To my knowledge nothing was published. But to me it seemed that the fires in January 2016 were a concerted mass attack, using fire as the weapon on whites. Farms and houses were burned down across an area almost 1,000 km long. And it all happened in a matter of days. 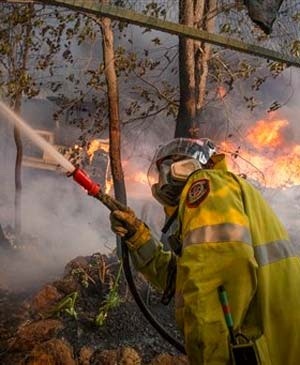 In total 495 fires were reported at a rate of up to 99 per day over a period of a few days. And the blacks disappeared. I don’t know of anyone who was caught. 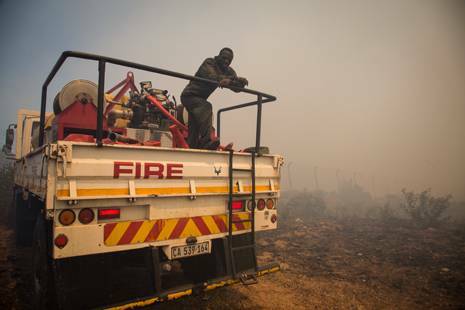 Excerpt: Arsonists started some of the blazes that have ripped through the Western Cape’s southern peninsula, destroying hectares of plantation. 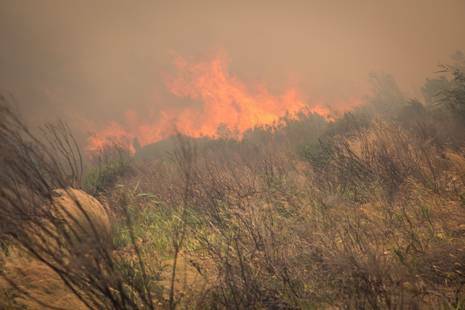 Several fires that broke out on Devil’s Peak, Ocean View, Signal Hill, Simon’s Town and Red Hill this weekend are being investigated.Since the start of the fire season in November, arsonists have been linked to 40 veld fires. In the wake of news about how devastating the Cape fires have been this year, speculation has mounted about some or even all of the fires possibly being started on purpose. It’s unclear what the motive for such acts of arson would be, but much angry guesswork appears to have surrounded it, with unsubstantiated allegations already made that it could be an act of political sabotage to undermine the Western Cape government, while others have alleged (also so far without proof) that one of the companies that is contracted to put out the fires or perform recovery work in the wake of the fires may in fact be drumming up some business. No particular names have yet come to light though. Even the province’s premier, Helen Zille, has asked a question around the real cause. Why are there so many fires in the Western Cape? This is the question so many South Africans are asking at the moment, with rumours and accusations swiftly doing the rounds on social media and around dinner tables from Cape Town to Stellenbosch. Many locals feel that the fires were never this bad, this persistent, this long-lasting. There were fires in the past for sure, but they were put out quickly or – since a certain amount of burning is vital for the rejuvenation of the region’s flora – managed in a way that never encroached on private property in the way they now do. Three farm houses in Stilbaai have been destroyed by fire in the past 24 hours, and multiple houses evacuated; and Stilbaai Fire has been declared a Local Disaster. It’s becoming a pattern. Wild fires ravage the mountains. Incredible photos are splashed across the media… and in a wonderful outpouring of selflessness, locals unite to donate food and funds to support the firefighters, many of them volunteers. But what – or who – is to blame for this perceived increase in fires, and increase in the length of time it takes to put them out? Some facebook and twitter posts have alleged the fires have been deliberately begun as a plot to take land from the property owners. But as usual, nothing was ever found or announced in public!! ← Excellent Meme: Right Wingers, Good Times & Liberal cucks… How the cycle of Politics works! he won’t do that….. he either knows stuff all abt it or he’s too gutless to ‘touch’ it….